City, University of London is pleased to announce the appointment of Julia Palca as Deputy Chair and Chair Elect of Council with effect from 1st August 2017. As the supreme Governing Body of City, University of London, the Council has responsibility for the development of City’s Vision and Strategy and the implementation of its strategic plans. Julia will begin her tenure as Chair of Council when Rob Woodward steps down in February 2018, having completed the maximum six year term. A graduate of Durham University, Julia enrolled as a Solicitor of the Supreme Court in 1980 at the beginning of her long and distinguished legal career. She continues to sit as an Employment Judge at the London Central Employment Tribunal. 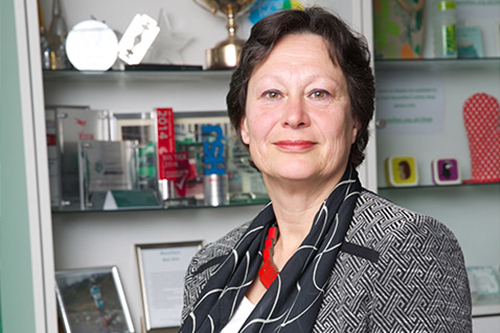 Julia is Chair of the Trustees of Macmillan Cancer Support, a position she has held since 2010 and Chair of the Royal Free Charity, which supports the Royal Free NHS hospitals in Hampstead, Barnet and Enfield. I am delighted to be appointed Deputy Chair and Chair Elect. City’s ambition and determination are inspirational. It is a great privilege to be invited to lead City’s Council and to work alongside Professor Sir Paul Curran, his Executive Team, staff and students to help realise City’s Vision & Strategy 2026. I am delighted that we have been able to attract someone of Julia’s calibre, background and experience to serve as the next Chair of Council. I look forward to handing over the reins to her over the coming months. City is a special place and has achieved great things over recent years. I will leave with many special memories of City and its people and with great pride to have been involved in City’s significant progression. I am delighted with Julia’s appointment and I look forward to welcoming her to City and working with her in the coming years. We will benefit enormously from her wealth of experience. I would also like to take this opportunity to thank Rob for his unwavering and tireless commitment to City and for his leadership and support. We will have several opportunities to acknowledge and celebrate his contribution to City’s history before he steps down next February.